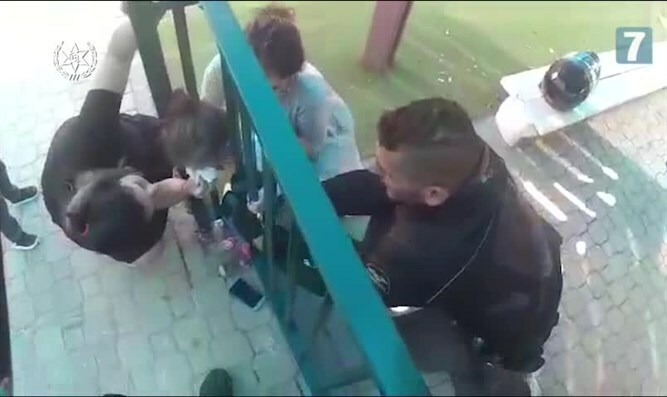 Police in Holon rescue toddler stuck between bars at local nursery. Police in Holon received a call about a toddler whose head was stuck between the bars in the yard of a nursery. Policemen rushed to the scene and managed, with their hands, to unroll the bars and safely rescue the weeping toddler. The Israel Police said: "The Israeli police go out every day to carry out life-saving missions. This was not such a mission, but rather a human mission that we are proud to fulfill."